A relation on a set is a subset of the Cartesian product . 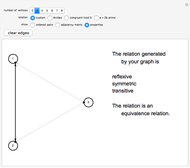 The graph of a relation is a directed graph with vertex set and edges determined by the ordered pairs in . 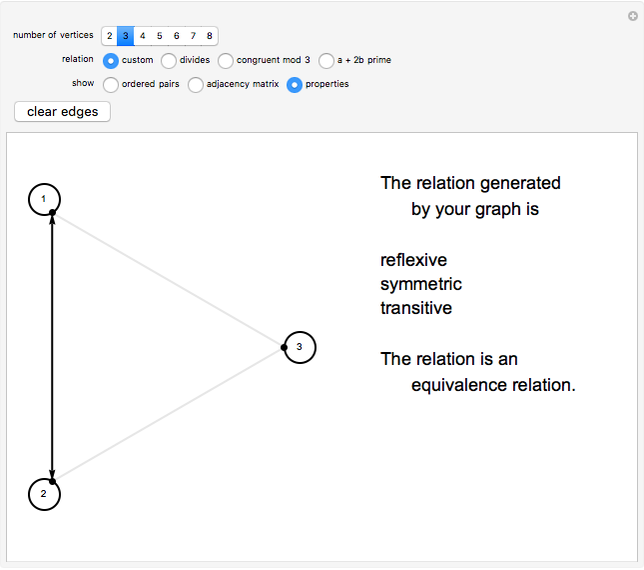 This Demonstration lets you explore relations on the set for through . 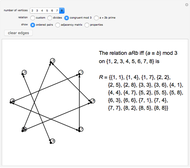 Three specific relations ("divides", "congruent mod 3", and "a + 2b is prime") are included. 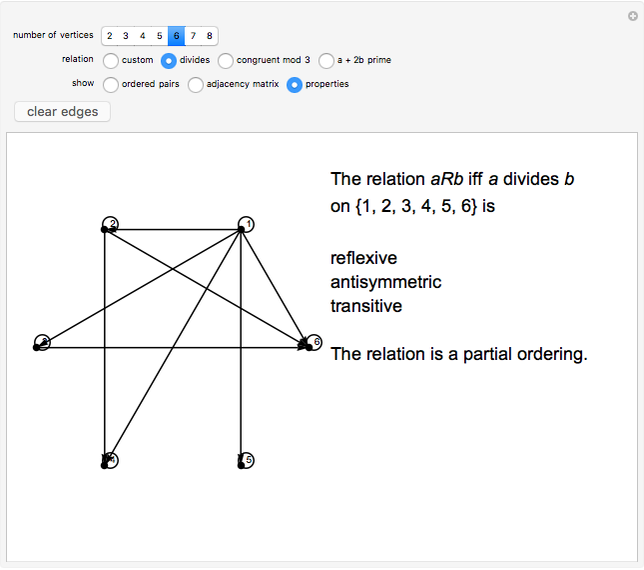 When using the custom option, a "ghost" of a complete graph on vertices (with loops) appears. 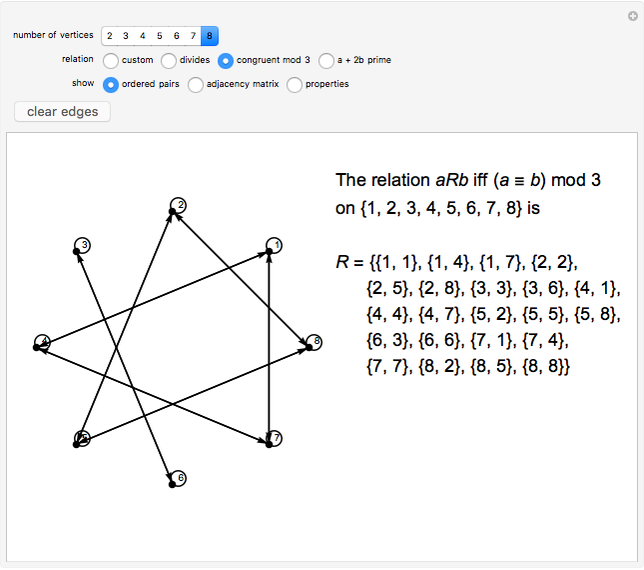 Clicking the ghost edges/loops adds edges/loops to the graph and adds the corresponding ordered pairs to your relation. Clicking an edge a second time changes its direction; clicking a third time makes that edge bidirectional. 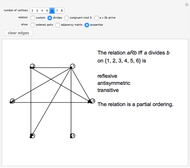 You can view (the ordered pairs), the adjacency matrix, or the properties of the relation (reflexive, symmetric, antisymmetric, transitive). Marc Brodie (Wheeling Jesuit University) "Exploring Relations on Sets"